It’s time to finish the “HFT in my backyard” series. The last week was intense here and around me, and I think at some point it’s good to keep silent. What’s more, this Part V about the past and the future of data transmission needed some times to be achieved – I found too much interesting data. I think I could write a new sequel to my book (that would be fun); that said, I’ll only summarize the stuff I have accumulated since last September. (Post scriptum: I’ll post later in January the very last part of the series, titled “Miscellanea”, where I’ll amend some inaccurate facts and try to response to some questions I have been asked – at least, I’ll try to as I don’t have all the answers.) Let’s start with a little bit of history. 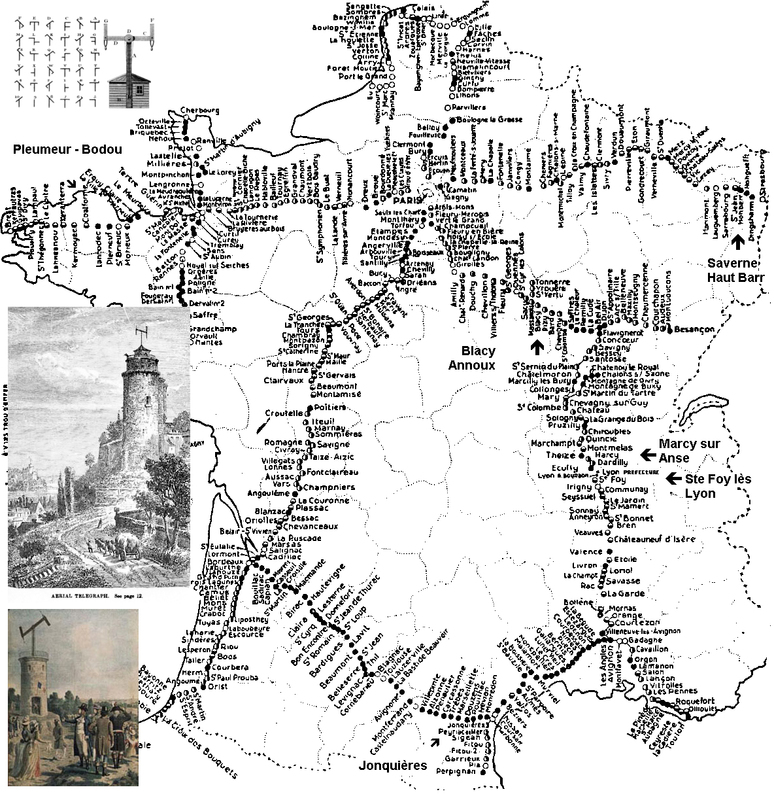 These networks were “optical” in the sense that the semaphores used to communicate from point to point needed lines-of-sight (like the microwave networks today); that explains why the stations were located in existing high points (mounts for instance) or, even then, in standing towers. Napoléon’s army was a frenetic client of Chappe, and the Emporor put money into the network, so the news about the defeat at Waterloo should have reached Paris before London. But the Rothschild’s pigeons won the race. Why? The fog, dude! On June 18, 1815, in Waterloo, the fog was so thick that Nap’s soldiers were perturbed and the Chappe network completely down: because of the fog the signal couldn’t be sent from Waterloo to the stations in North of France – you couldn’t see anything. Bad luck. That’s an amazing story because fog is still a problem for the new HFT (microwave) networks, two centuries after the debacle at Waterloo. Technologies may change but nature is still the same. 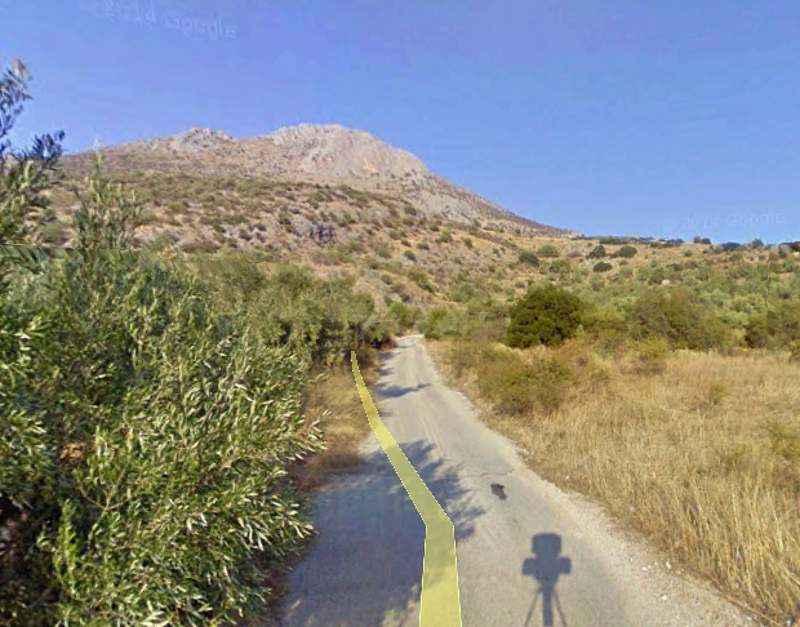 … (just outside the ruins and facing in the general direction of the Arachne’s Peak, the final station of the route), provides a subtle confirmation of the ancient Hellenic ideal – transmitted to the Romans to the Enlightenment to the information revolution, and finally to the shadow of Google’s mapping camera”, Laughlin adds. “Given that the message was one bit, the signal coding was at the Shannon Limit”. The Defense Communication System had installations in Belgium, Greece, Italy, Portugal, Spain, Turkey and the U.K., and consisted of a mixture of microwave radio links and satellite communications terminals. These networks were not build in milliseconds: thanks to Julian Assange and Wikileaks, we learn by reading this declassified cable (dated April 6,1973, and titled US Microwave-System In Belgium) that the “original target date for completion of microwave system was May 1973, but we understand that contract is currently being renegotiated between prime contractor to establish new target date of late 1973 or early 1974 […] we are pouching copies of site visit reports dated january 2, 1973, which provide outline of work completed and work remaining at six out of the seven belgian sites (Houtem, Westrozebeke, Flobecq, Shape, Le Chenoi and Ben Ahin).” This is the first mention of the Houtem tower. 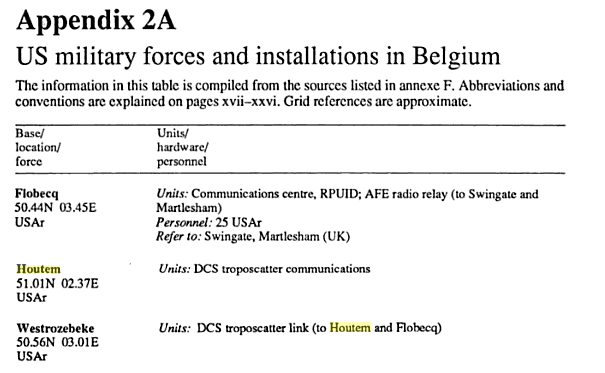 By reading this we learn the Belgium portion of the DCS network has been carrying traffic since mid-1974 (that corroborates other data suggesting the Houtem tower was built in 1973). On the other side of Flobecq, the Houtem-Swingate route seems to have generated interest because crossing the channel is a difficult task (you may have fog, you have to deal with water reflections, etc.). At least three academic articles were published about these difficulties, the first one in 1979 by the Defense Technical Information Center, Delay Line Requirements for Houtem-Swingate Link. A second paper was released in 1979 by the US Department of Commerce, Signal level distributions and fade event analyses for a 5 GHz microwave link across the English Channel and describes “instrumentation for fading studies and measurement results over an 88-km multiple-diversity line-of-sight microwave link across the English Channel operating in the 4 to 5 GHz frequency range” (now Jump uses a 7.470 Ghz frequency to cross the channel). 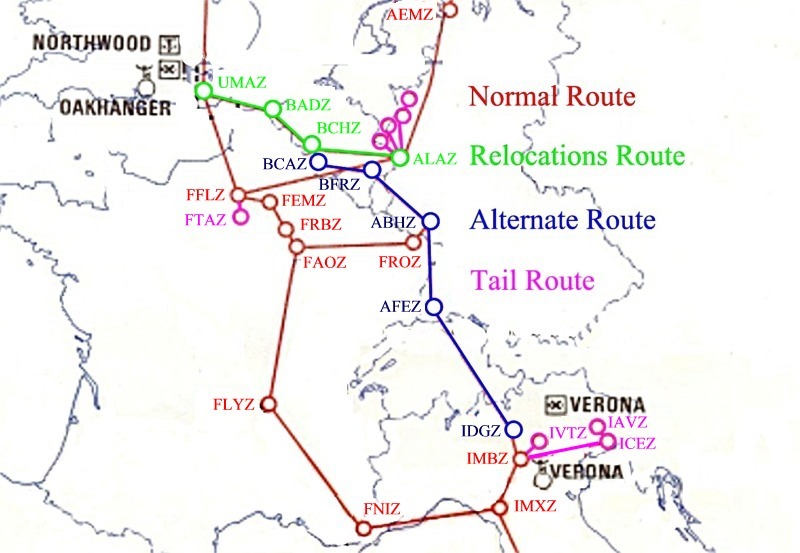 The fact that (at least) three old technical papers highlighted the difficulties for a microwave path to cross the channel may probably explain the “large amount of speculation” I talked about in Part IV when the HFT firms/providers decided to build their microwave routes in Europe in 2012. In 2006 the three towers were returned to Belgium, but my backyard country soon realized they were costly and useless. The Westrozebeke tower was destroyed; the Flobecq one was used by the Belgium Ministery of Defense but thanks to this document we know that the radio link was shut down… two weeks ago, on January 1, 2015; and in 2012, Belgium decided to sold the Houtem tower, which was in bad shape. I talked about the rest of the story in Part II: an epic auction sale took place in Houtem on December 18, 2012, the Belgian government set the starting price at €255,000 but various HFT firms/microwave providers were in competition and Jump Trading was the successful bidder and bought the tower in January 2013 for $5.000.000 (and spent at least one more million to rebuild the facility). That’s how an old american guyed tower erected in Belgium by the US Army in 1973 was purchased by an American firm 40 years later. Amazing detail: the Army returned the tower because the new optical fiber cables were more efficient (in term of bandwidth) and later the tower was purchased by an American firm because microwaves are more efficient than fiber (in term of latency). How ironic is that? THE PAST, III: THE RAF IN THE U.K. The history would be incomplete without a few words about the Royal Air Force (RAF) and the Chain Home radar system. 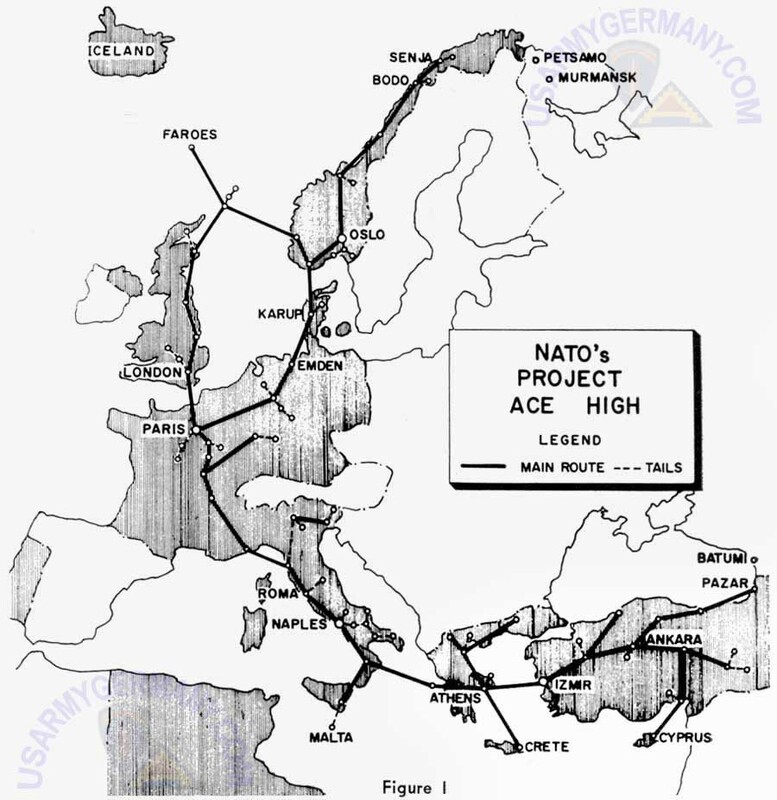 Chain home was a network built by the U.K. forces before and during the World War II to track German aircrafts (check the map). The most famous towers erected are probably the “Three Sisters” in Swingate, built in 1936 (that’s how both NATO and U.S. Army networks were able to use these towers to cross the channel in the 1960s-1970s). One tower was dismantled in 2010 (it had become unstable) but on one of the two remaining towers you can find the dishes of some HFT competitors, McKay Brothers, Optiver and Jump Trading. 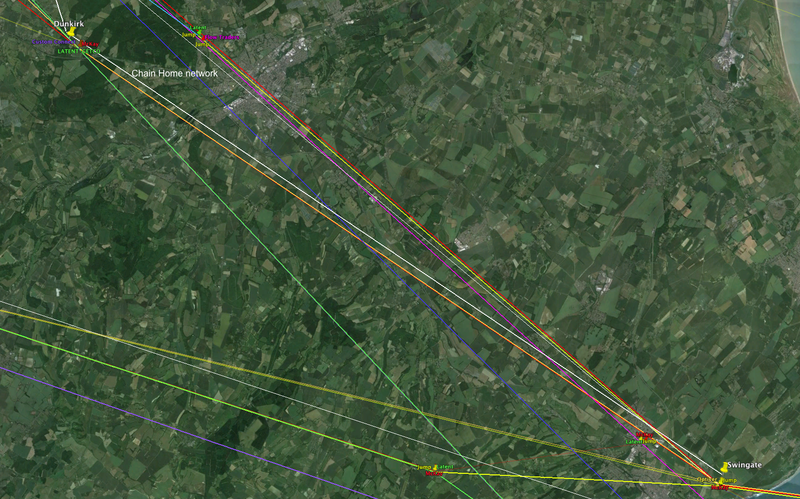 Thanks to the Houtem pylon, Jump doesn’t need the Swingate tower anymore to go to Basildon [cf. Part II], but I bet the Chicago firm still needs it to send the signal toward Slough. 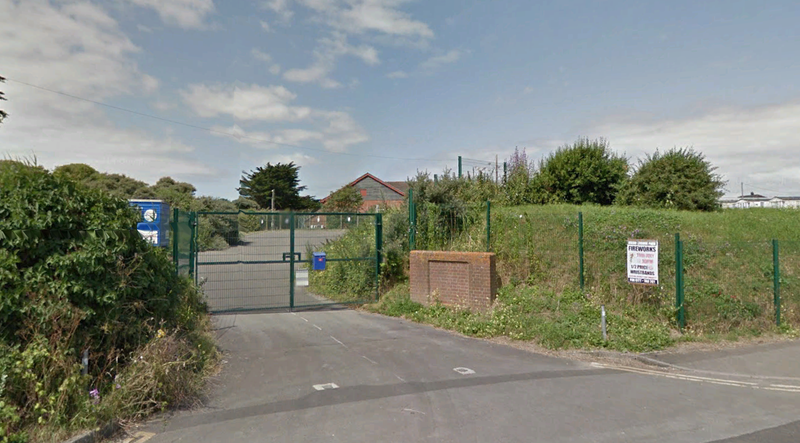 Since the interconnection between different kind of networks is called “colocation”, let’s have a look at the colocation in Cornwall, South of England. There, the HFT networks end their continental routes and meet the optical fiber cables needed to cross the Atlantic Ocean. I’ve made a mistake in the previous parts of this series: there is no one cable there, but two, and it seems the HFT firms don’t use the same cables to cross the Ocean. 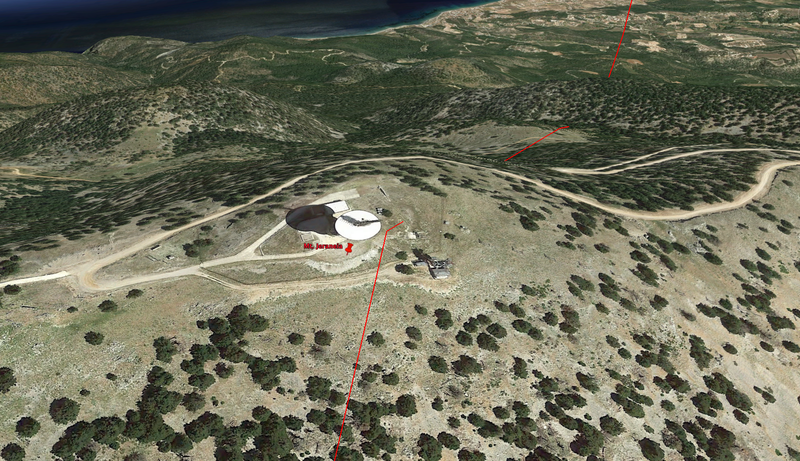 The last dishes of the Jump microwave network are located at the “Skewjack” Cable Landing Station. According to this wonderful book by Andrew Blum, Tubes, the locals called the place “skewjack” after the surfer’s camping ground that used to be on the site (read this interesting interview to learn about the comparison between surfers and HFT algorithms “trying to spot a wave”). 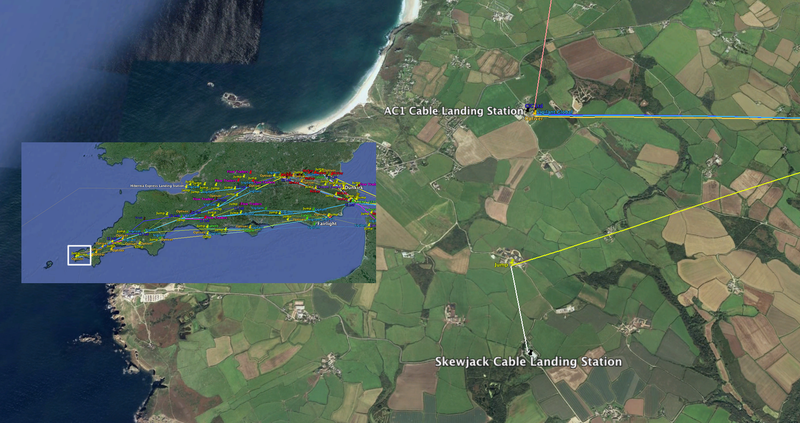 This landing station is the one of the FLAG Atlantic 1 (FA-1) cable, owned by Reliance. An interesting fact: remember that a company named Perseus Telecom is a microwave provider for different HFT firms in Europe; Perseus doesn’t own (for now) a network but leases bandwidth from Jump’s one (cf. 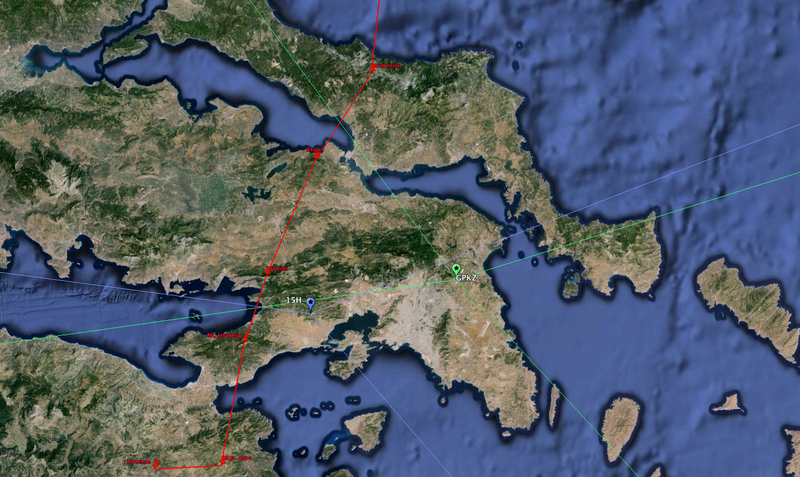 Part II), so it makes sense to see that Perseus resells the FA-1 cable to their customers – I don’t really know, but it’s likely that Perseus’ clients may sign for both a microwave network from Frankfurt to Cornwall and for the FA-1 cable from Cornwall to the U.S. The proximity between Jump Trading and Perseus may explain why Jump competitors (Optiver and Vigilant at least) use another cable: the Atlantic Crossing 1 (AC-1), whose motto is “One Planet. One Network”. It’s said to be faster than the FA-1 cable. The landing station is named “Whitesands cable station” and you can read a great description of the site in Tubes where Andrew Blum talks about “one rack labeled SLOUGH” – this is for the Whitesands-Slough cable network, but high-freqquency traders don’t care about it anymore as they have microwave to save a few milliseconds between the two locations. 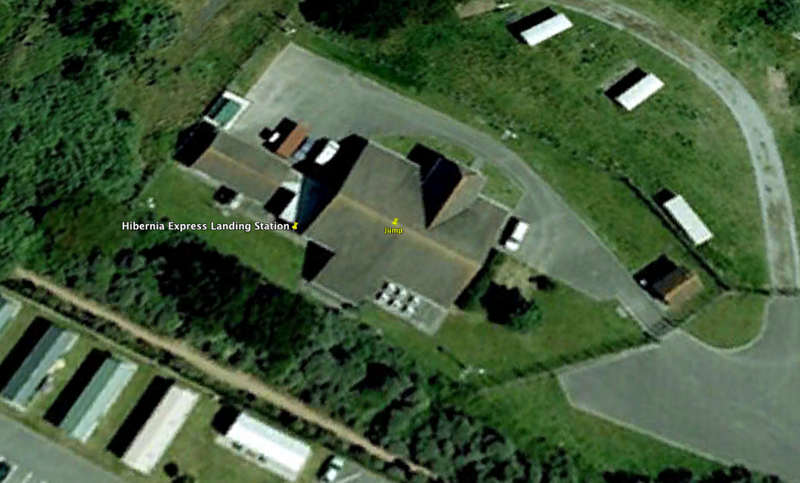 That said, both these two landing stations in Cornwall will probably be a part of history in the near future. As I wrote in Part III, a new cable is in progress between the U.K and the U.S: the famous Hibernia’s Project Express. The Ofcom license was granted on June 24, 2013, that is 4 month after Project Express was suspended (because of Huawei) and 13 months before it was back on track. That’s an interesting timing. Hibernia announced the new cable would be available in September 2015. If the company allows dishes there, it’s possible that the future of microwave in Europe will be around Brean. Wait and see. THE FUTURE, II: THE END OF COLOCATION? Trading firms need communication networks only because trading centers (the matching engines) are spatially distributed across the world. That’s why some firms need microwaves between Chicago and New York, or between London and Frankfurt, and fibers between Europe and the U.S, or between the U.S. and Asia, and so on. It’s all about geography. A the end of my book I quickly discussed about these issues with this theoretical article by Alexander Wissner-Gross (Harvard/MIT) and Cameron Freer (MIT) titled “Relativistic statistical arbitrage”, published in 2010 in Physical Review. “Note that while some nodes are in regions with dense fiber-optic networks, many others are in the ocean or other sparsely connected regions, perhaps ultimately motivating the deployment of low-latency trading infrastructure at such remote but well-positioned locations”, the authors write. When I was working on this post, I realized this theoretical research may be not so theoretical. Indeed, on January 21, 2014, a patent was filed in the U.S. by the Massachusetts Institute Of Technology, titled “System and method for relativistic statistical securities trading”, and the names of the “inventors” are Alexander Wissner-Gross and Cameron Freer. “The naive solution is to put preprogrammed computers on either side of a low-latency link,” says Wissner-Groos in this interview, and the colocation leads to “an arms race to reduce point-to-point latencies. The next phase is setting up at nodes”. I remember a discussion with the CEO of a major microwave provider between Chicago and New Jersey; I learnt that most of the customers of this provider need microwaves to collect data from one exchange (let’s say the CME in Aurora) so that they can put an order at an other exchange (let’s say NYSE in Mahwah). That means most of HFT firms need super-fast networks to know what is happening here and there, and with this data the colocated algorithms can decide to buy and sell products where they are implemented/colocated – for instance an algo in Mahwah need to know what’s happening in Aurora about the E-mini S&P future (ES) so that it can trade SPDR S&P 500 ETF (SPY) in Mahwah. That’s why data needs to travel as fast as possible between the two exchanges – the “arms race”. THE FUTURE, III: BALLOONS OR TROPOSCATTER? “If trading centers in New York and London were connected by a trans-oceanic fiber-optic cable, it may be prohibitively expensive or impractical to place the server at a location in the ocean, if such a location were determined to be the most suitable location to place the server”, write Wissner-Gross and Cameron in the patent document. So the question is: how could we place a server in the middle of the ocean? On floating platforms? Today, a trading firm may use microwave networks between two land-based points but it’s impossible to build a line-of-sight network between the U.K. and the U.S. – unless you erect some floating islands in the Atlantic ocean but that would be complex, and stupid. That’s why, at least for now, there is no other solution than optical fiber cables to cross the Ocean. But on September 23, 2014, PR Newswire announced that Windy Apple Technologies (WAT) have plans to “establish a transatlantic service, using advancements in equipment design and non-traditional deployment platforms [bold is mine]. Plans include high- and low-bitrate networks for low latency links between New York and London, giving WAT the opportunity to be both first to market and markedly more cost-efficient than the billion-dollar transatlantic fiber systems currently being built by competing providers”. What are we talking about here? “We take a special pleasure in turning unfeasible concepts into feasible ones”, said Alex Pilosov, WAT’s CEO, who built the first microwave network between Chicago and New York back in 2010 (just one month after the Spread Networks cable became operational). Someone in the HFT/microwave industry told me that “Pilosov is like the typical Russian engineer who can build a space rocket with two pieces of chewing gum”. Unfortunately, both WAT and PR Newswire don’t give a lot of details about these plans. “The company’s internal R&D program has explored […] relay platform deployments utilizing airplanes, balloons and satellites.” The word balloon may be a lead: at a Paris conference last December, McKay Brothers’ CEO Stéphane Tyc said the microwave networks needed by HFT firms will remain the fastest technology for 4-5 years, before the Google balloons show up. 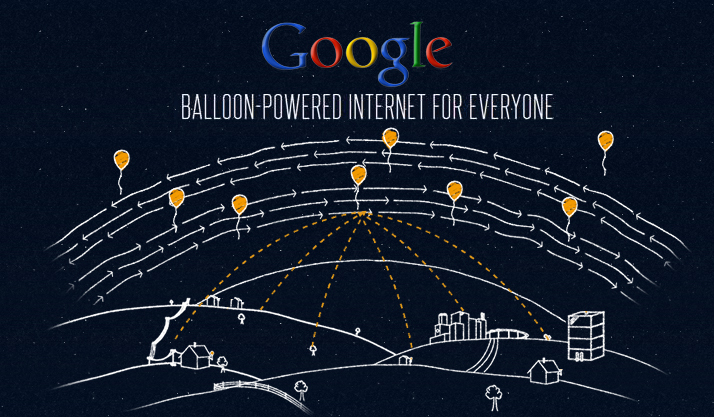 I don’t really know how is it possible to build a network with the help of balloons, but I suppose (by oversimplifying) a signal would be sent by a dish located on the top of an exchange and received by a dish placed on a stratospheric balloon, and then the signal would be sent back to Earth to an other exchange? Would one high-altitude balloon be enough to cross the Atlantic Ocean, given the fact Earth is a sphere? I’m not sure at all (but this kind of balloon would be a perfect place to locate servers above the Ocean if the Wissner-Gross & Cameron system goes live). 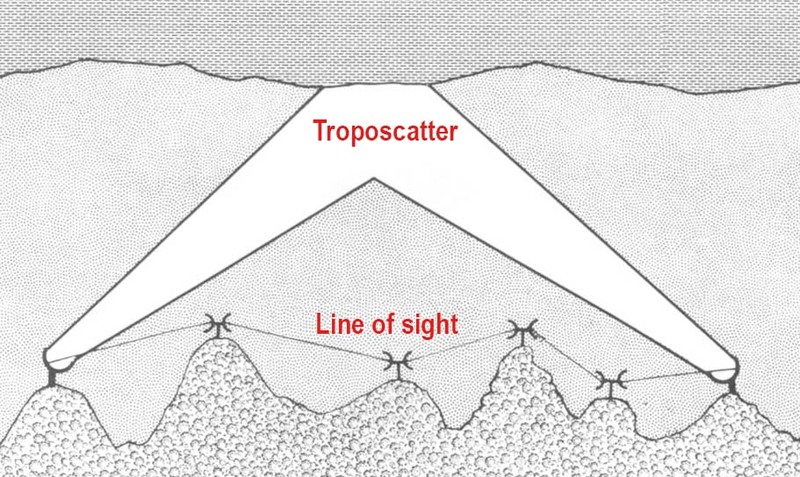 Another lead may be found in a chat I had on Twitter with a Belgian telecom expert who asked if “these HFT people ever looked into troposcatter as a cheap efficient alternative” to multiple line-of-sight towers. Alex Pilosov posted this answer: “Yes, we have. In fact, that’s what gave me the idea to build long-haul wireless”. Interesting. I don’t really know if Windy Apple Technologies’ projects will involve troposcatter, and if they will need such big dishes (I don’t think so) but we will see. In sum: it is clear that the arms race is not finished (yet). High-frequency trading will have to dominate nature, again. 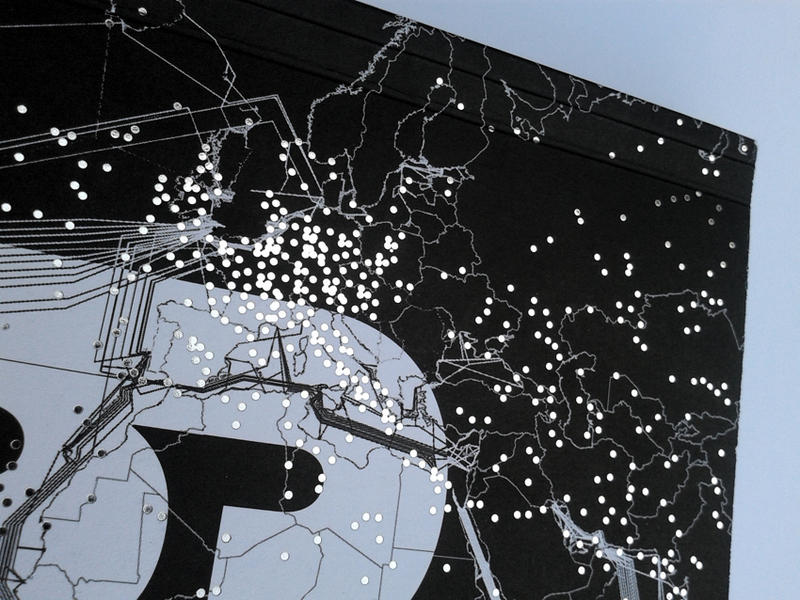 “I see this work as one possible justification for making the entire surface of the planet more computationally capable”, said Alexander Wissner-Gross in this interview. “And in effect, making the whole planet smarter.” I conclude with this question: what Earth thinks about that? I worked on the Digital European Backbone or DEB back in the late 80’s/early 90’s. 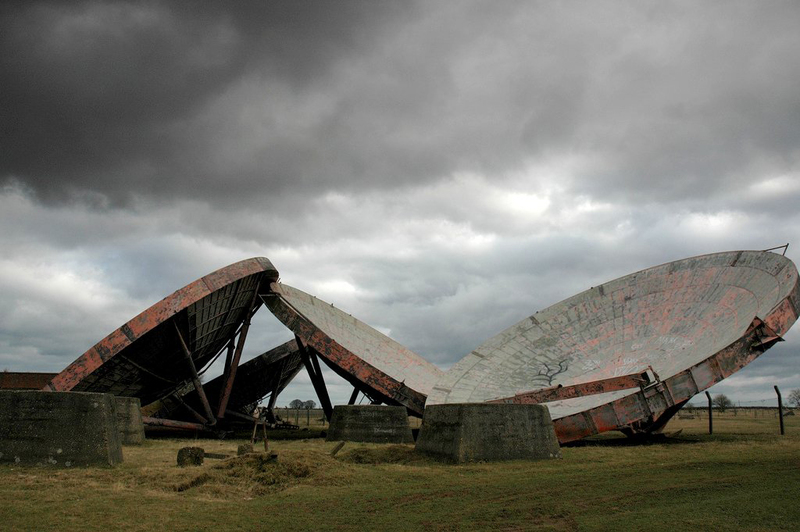 It was a early fixed digital microwave system of communication sites scattered throughout the UK, Netherlands, Belgium, Germany, Italy, Spain. 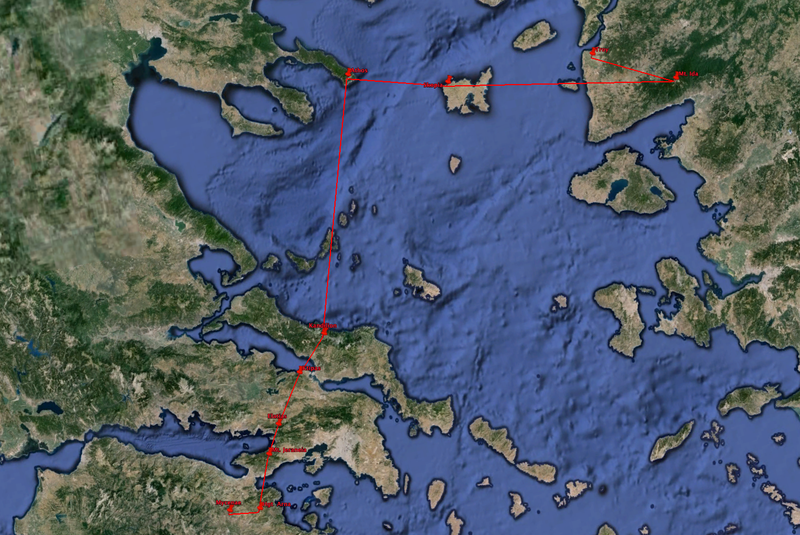 All the way over to Greece and Turkey via Tropo links. Originally the DEB was the first line of communication in Europe for the Nuclear Ground Launch Cruise Missile (GLCM – military just loves acronyms!) system namely in Germany, Belgium and the Netherlands. One base was Florennes in Belgium, Woensdrecht in The Netherlands & Wuscheim in Germany. There also a few more in the UK and one, I think, in Italy but the former three were the only ones I was familiar with. The DEB was the first line of communication but that was always guaranteed to go bye bye first since it was believed the Russians during the Cold War would start there in an initial attack. So the GLCM had satellite terminals which were virtually guaranteed to be the only form of communication in the event of a war. However, the DEB was just not for the GLCM and was also used mainly for any Department of Defense agencies operating in European theater. Mostly after the INF treaty removed the GLCM mission from European soil, the DEB was used for the DoD European Telephone and data systems. NATO had their own separate microwave communications system and most of the time, operating on the same towers. 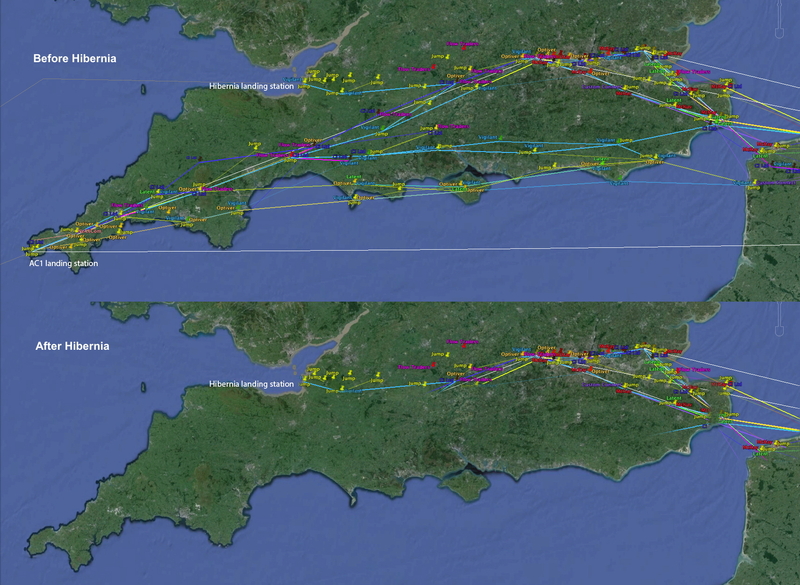 Houtem was the 5GHz quadruple diversity shot over the English Channel to Swingate in the UK. The other side was Westrozebeke @ 50.944803, 2.972111. West. 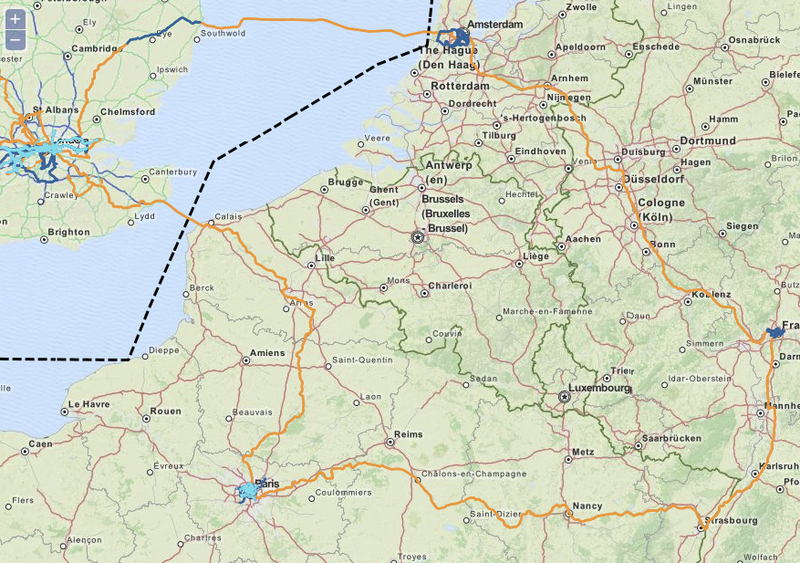 then shot to Flobecq @ 50.763892, 3.744626 where the outlying Air Force techs were stationed that maintained all Belgium sites. 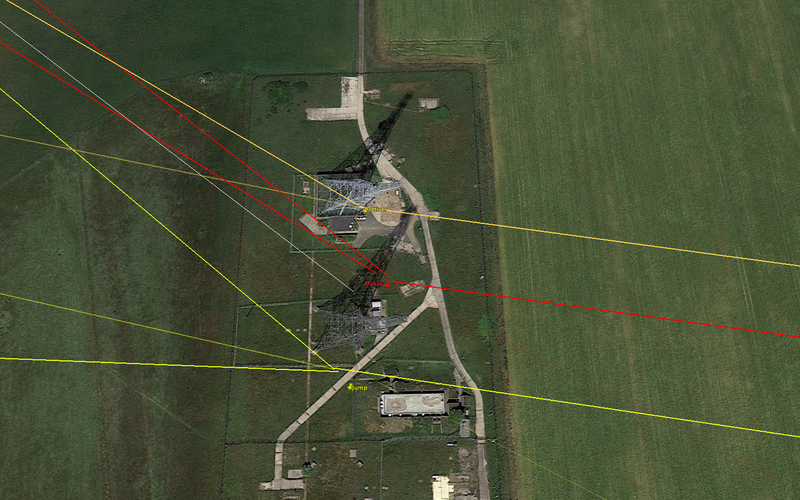 Most of the rest of the interior DEB sites were 8GHz links. Flobecq then shot back to Le Chenoi @ 50.605578, 4.576704 which shot to Ben Ahin @ 50.503890, 5.186620 and finally to the last site in Belgium which was Spa Malchamp @ 50.4667, 5.92237. Spa then shot into Germany to Prum/Schoenfeld @ 50.285441, 6.400731 where some AF techs and even Tech Controllers who watched over part of the microwave system were stationed. Scho shot several directions. North to Adenau @ (?tower site dismantled/removed?) & South to Spangdahlem AB. Adenau to the North shot to Roetgen or NATO Lammarsdorf @ 50.665962, 6.287408. 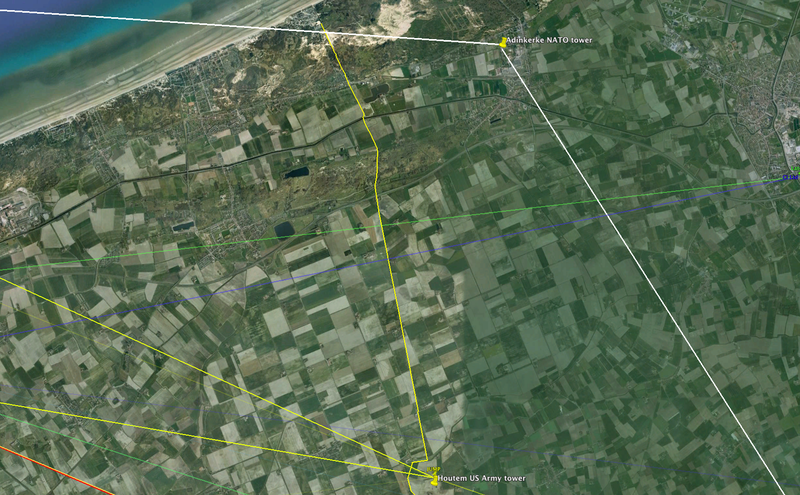 Roetgen then shot to RAF Bruggen @ 51.190735, 6.113205 which subsequently had two Tropo links. One going into Hoek Van Holland in the Netherlands @ 51.984774, 4.112192 and one to Stein in Germany @ 50.671388, 8.053693. All three sites being US Army 5th Signal maintained till the very end of he drawdown of troops in Europe. Then the Air Force took over all but Stein till Bruggen and Hoek were dismantled. Supposedly the big Tropo dishes are still there at Hoek but barely. From Bruggen the DEB carried on North to an old US Army tank/combat vehicle garrison at Herongen @ 51.368082, 6.239770, then to Kalkar @ 51.733462, 6.271351 where the AF had more techs and Tech Controllers for DEB North maintenance/administration. The hardened 300′ tower has been long removed at Kalkar. However, there is still one at Herongen. Kalkar then shot into the Netherlands to a site called Erp @ 51.603663, 5.641623 which is still an active comm site for the Dutch military and NATO operating nearby at Volkel AB. Both are pixelated out in Google Earth. Erp then shot further West to Vught, a Dutch army base. US comm site/tower there has been completely removed. Vught then shot to Keizersveer which was another Dutch Army base but the base has been completely converted to civilian/commercial use now and no longer exists. Finally, Keiz then shot to Woensdrecht @ 51.439627, 4.333767. The hardened GLCM launcher truck bunkers are still there as well as the comm site tower. At one time a new digital Tropo was planned from Woensdrecht, across the English Channel to Martlesham Heath, UK as backup to the Houtem/Swingate shot but that never panned out. I have more on the rest of DEB South of Prum if you are interested.